Boosted by the rise of transatlantic low-cost carriers and spurred on by more fuel-efficient aircraft and the ever-expanding market for international air travel, European carriers have ventured increasingly into midsize U.S. cities in recent years. 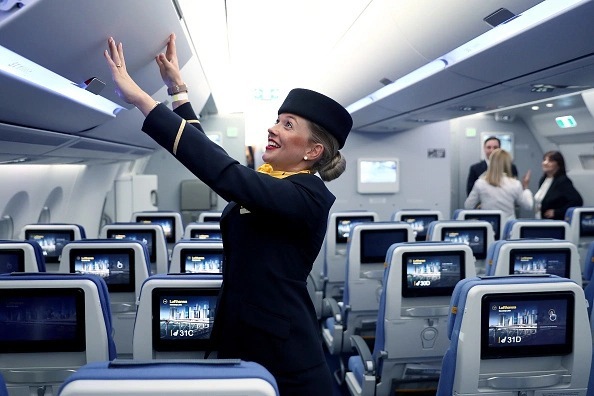 In early January, when Icelandair announced that this summer it would become the first airline to fly nonstop from Kansas City to Europe, it marked the end of nine years of negotiations between the Missouri city and the legacy Icelandic carrier. In May, four other U.S. cities, all of them midsize, that will be adding Europe to their route offerings. That month, the Delta-Air France/KLM joint venture will begin five-times-a-week service between Paris and Indianapolis, while Nashville will see the introduction of London service on British Airways (BA). Meanwhile, Icelandair and its discount competitor Wow Air will each begin flying between Reykjavik and Cleveland, and Wow will become the lone European carrier servicing St. Louis. Those five heartland cities are among 11 U.S. markets that since 2013 have either introduced Europe service or have brought back such service after a significant hiatus, said U.K.-based aviation industry analyst Ralph Anker, who writes the biweekly newsletter the Anker Report. Of the other cities — Austin, Texas; Hartford, Conn.; New Orleans; Providence, R.I.; San Jose, Calif.; and Newburgh, N.Y. — only San Jose in the Bay Area and Newburgh, a town of 30,000 that draws from the New York metropolitan area 60 miles away, are not classic midsize markets. Anker, for one, thinks the trend may have hit its zenith. But aviation analyst Mike Boyd of Boyd Group International in Denver predicted the trend will only grow stronger. Legacy European carriers such as BA and Air France, Boyd said, need to expand their North American networks in order to increase their feeds through connecting hubs London Heathrow and Paris Charles de Gaulle. Midsize U.S. cities with strong financial or industrial sectors, as well as cities like Kansas City and New Orleans, which serve large, multistate, drive-in catchment areas, are especially desirable. Boyd predicted that Columbus, Memphis, San Antonio and Sacramento, Calif., will be among the next markets to get their first nonstops to Europe. And even smaller markets, like Grand Rapids, Mich., and Sarasota, Fla., could see seasonal nonstops to Europe. Meanwhile, Boyd said he expects that Cincinnati will get a BA flight to London in the next two years. The city is the home of Procter & Gamble, its airport already offers service to Paris and it will soon have Iceland service. One driver of the new routes has been the latest generation of fuel-efficient aircraft, which enable carriers to operate flights profitably with fewer seats, thereby making more routes viable. The maturing aviation market is also helping to make more transatlantic routes viable. IATA projects worldwide air traffic to grow by 6% this year, to 4.3 billion passengers, following growth of 7.5% last year.